Pope John Paul the Great ! Probably the most famous man of the 20th Century, and probably the greatest. More people saw him in person than any other man in the 20th Century, and maybe ever. Over a billion people watched his funeral live on TV, some even getting up in the middle of the night to do so. Josef Stalin, the most notorious mass murderer of the 20th Century, once asked a rhetorical question about the impact of the Papacy - "The Pope? How many divisions does he have? ", which was supposed to mean that the Soviet Union with all of its military might was safe from any impact that the successor to Peter might have on his people. Well, guess what Josef? The Soviet Union, which began with a communist workers' revolt in the streets of Moscow in the early 20th Century, was brought down by a Catholic worker's revolt in the streets of Gdansk in the late 20th Century, and it was inspired by their fearless (BE NOT AFRAID!) 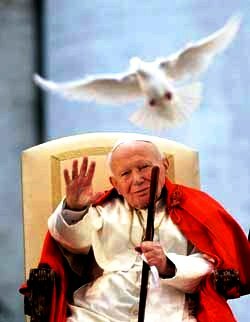 leader, Pope John Paul II !! And all without firing one shot! It is very interesting that the Blessed Virgin Mary appeared to the three shepherd children at Fatima in 1917, the year that the Communists took over Russia, to warn the world about the coming bloodshed caused by Russia. The date was 13 May, 1917. On 13 May 1981, the shepherd Pope John Paul II, who was totally dedicated to the Blessed Virgin Mary, was shot by the Russian KGB's hit man, Ali Agca. 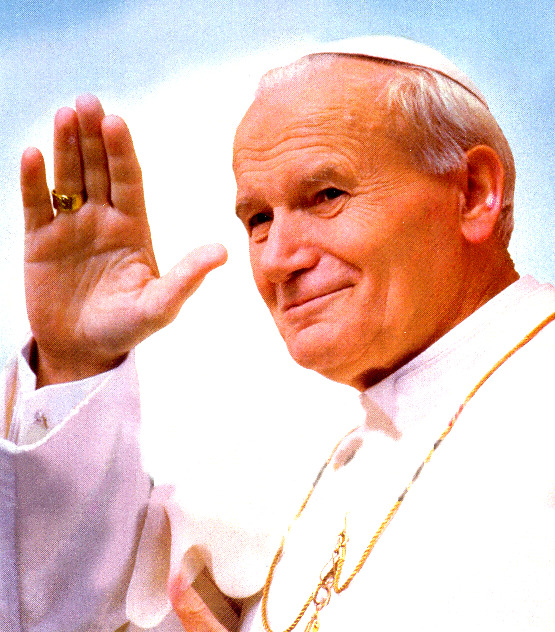 Then in 1989, the whole Communist apparatus in the Soviet Union came tumbling down, because of the Catholic workers in the Mary-loving country of Poland going on strike, all spiritually led by the Marian Pope John Paul II. 13 May 1917 was also the very date that Pope Pius XII, one of the great anti-Nazi and anti-Communist Popes, was ordained an Archbishop in the Sistine Chapel. His motto was "Totus tuus", or "Totally yours" (of the Blessed Virgin Mary). One of the most athletic Popes, he would sometimes sneak out of the Vatican in disguise to go skiing. In later life, God decided to take away his athletic abilities, saddling him with Parkinson's disease. Sometimes he would just fall down for no reason. Before his death, he suffered mightily with his breathing, and he had much pain. He decided to unite his suffering with that of Christ. May all of us who have joyful gifts of our youth taken away from us in our later years imitate him in his suffering. Here are some great quotes from this great man for you to ponder. May he soon be a Saint!